From next Friday Highbury Corner is no more. Well, it will be back to being a corner again. 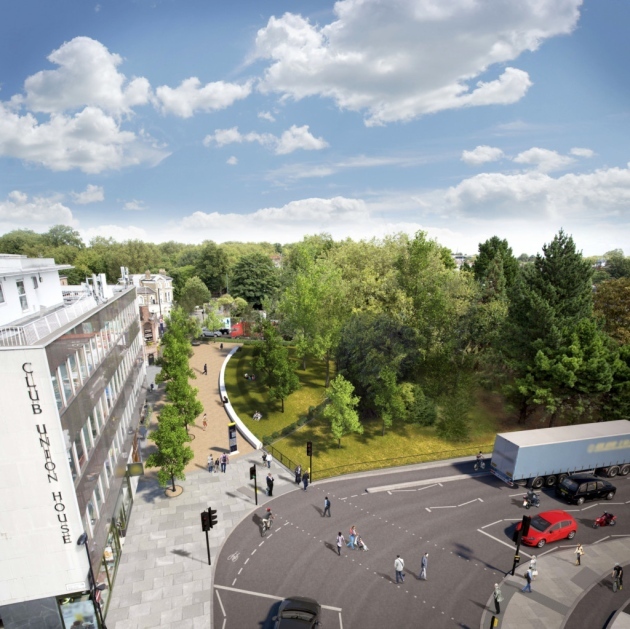 Highbury Corner *roundabout* is no more. 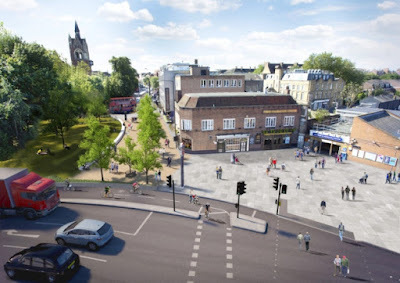 In one of Islington’s most important ever road revamps, much of the area outside Highbury and Islington station is being pedestrianised and turned into a public space. The intimidating 1960s roundabout will been removed and replaced with two-way roads, with the installation of segregated cycle lanes on all three remaining sides of the roundabout. Cyclists make up a quarter of the Corner’s traffic during rush hour. The bottom of Corsica Street has also been closed to traffic and pedestrianised. With more segregated cycle lanes across the junction and wider pedestrian crossings the changes will make cycling and travelling on foot easier and safer for everyone using this busy area every day. With more green space also open to the public, the changes will truly improve quality of life for everyone living and working around Highbury Corner.